Yes, it is under construction right now. Photographic proof please or you are just lying like locals do to save face. I haven't seen a single bit of working going on since work was stopped and everyone I know who lives nearby says work has not resumed. That's a link to a website not any proof of anything being built. It's not being built you have no photos of on the ground workers building anything. you obviously dont know how to use that site, do you? I am not creating an account for a website when he has given no proof, I have friends living on the island living on the island and nothing is being built, trying to look smart makes you look dumb. As I said provide photos but no one can. I drive past this every day, it is clearly progressing and last time I was up close to it there were 100's of workers on site. Also a look at google earth over the last few months shows the visible progress, it is well above ground now. All museums were meant to be on the waterfront with Guggenheim having some it's piling work done then abandoned a few years ago and Maritime Museum seeming scrapped as it's never mentioned anymore. 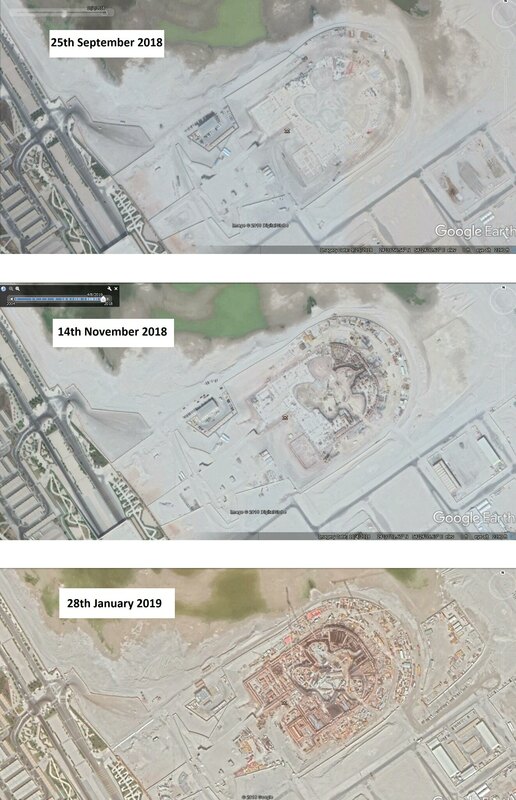 Around the same time the oil prices experienced free fall, 3 yrs back, Abu Dhabi had announced that they would finish one museum at a time rather that try to mess up all of them together with a proposed deadline sometime in 2030 for all of them.... the aerial images show that they are on track!! I think you are confusing it with the Zaha Hadid Performance Arts Center. You are right, I don't remember seeing or hearing anything about this venue for the past 10 years. I remember it being shown at the exhibit they had at Emirates Palace years ago as a model but I can't remember a theatre being part of the line up at that time as it was just the 4 museums which now seem to have been reduced to 3 as I never see the Maritime one mentioned.